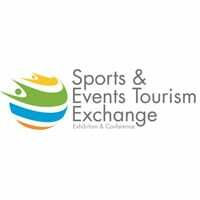 The Sports & Events Tourism Exchange (SETE) Conference and Exhibition, now in its fourth year, will be taking place at the International Convention Centre (ICC) in Durban from 28 to 30 October 2014 together with third year Conference Sponsor, the Culture, Arts, Tourism, Hospitality and Sport Sector Education and Training Authority (CATHSSETA). SETE is a dynamic business to business platform that is aimed at positioning Africa as a sports and events tourism destination and encourages collaboration between the sports, events and tourism industries that will showcase their product offerings to the attending International Hosted Buyers and local corporates, specializing in these sectors, who are interested in bringing business to South Africa. Following the success of the previous three conferences, this year’s conference is aimed at celebrating the successes and achievements of the events tourism industry over the past 20 years. This year the focus has been expanded to include Arts, Cultural and Lifestyle events with sports events as part of the Events Tourism sector. Organised by Thebe Reed Exhibitions, SETE is backed by the KwaZulu-Natal Department of Economic Development and Tourism and the region’s marketing body, Tourism KwaZulu-Natal are also giving the event their full support. “The SETE conference also successfully adopted a strategy aimed at bidding for international sports events such as the 2022 Commonwealth Games which the City of Durban is now a serious contender. This year’s event is aimed at broadening the focus to ensure that we promote SA as an arts and cultural events destination which will see more international arts and cultural events hosted in SA,” continues Sugen. Across the three days, SETE provides the opportunity for businesses from the sports and tourism industries to collaborate during the 2-day conference, an exhibition and networking events. SETE attracts over a 1000 visitors who are decision makers in the sports and events Tourism industry. The SETE 2014 event will welcome pre-selected high caliber International Hosted Buyers, a larger scope of services and products specifically related to tourism and sport and also expose Africa’s finest destinations to the Sporting and Event fraternity. “During SETE 2013 it was good to meet fellow hosted buyers from other countries and many good contacts were made there. As specialists in South Africa and a major provider of sports tours I found this a very useful forum. A few days later we were able to bring the Herts Nomads on their first bowling tour to South Africa and this was so successful. The contacts and information gained at SETE were most useful and so will be keen to attend SETE this year again in order to keep up to date with our contacts and the information that we need so to do,” says Richard Latham Zeta Tours. This year the conference will not only assess the progress achieved in the implementation of the strategy set in place in 2013, but will also examine the role of local government in supporting major events, understand global sponsorship trends and accessing finance for major events.